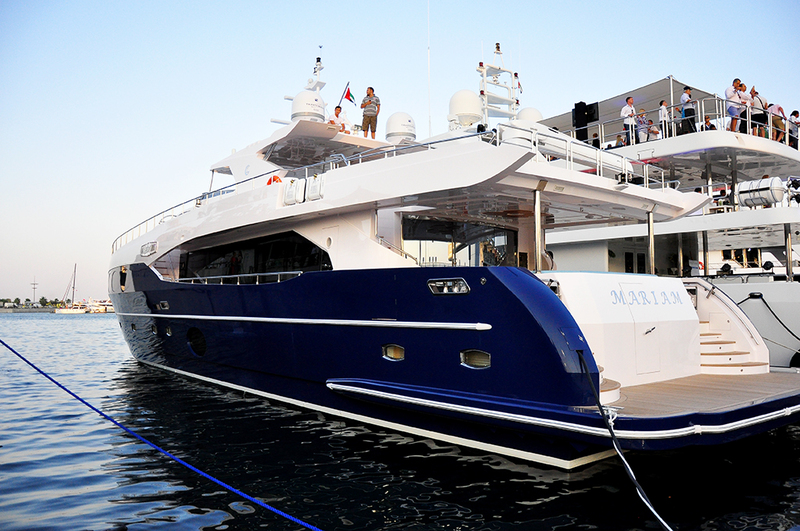 The Majesty 105 is a popular model and already has many siblings. 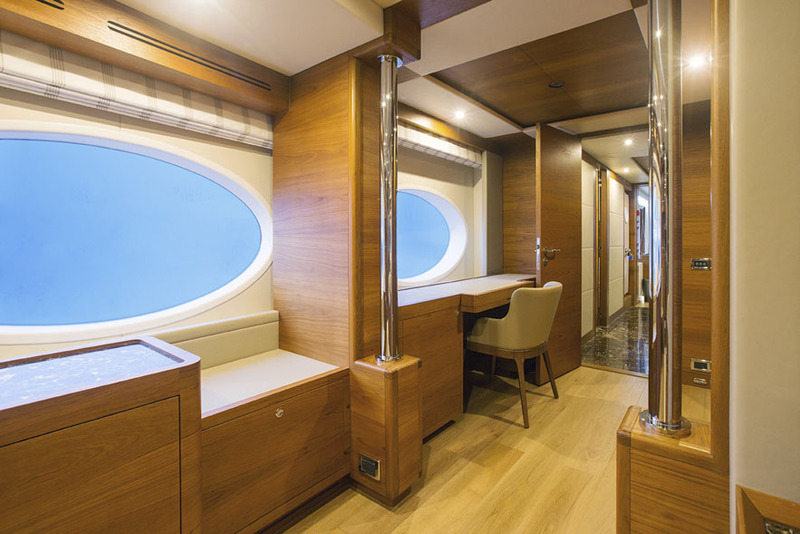 The sporty exterior paired with the vast amount of space characterizes this model of the Majesty super-yacht series by Gulf Craft. 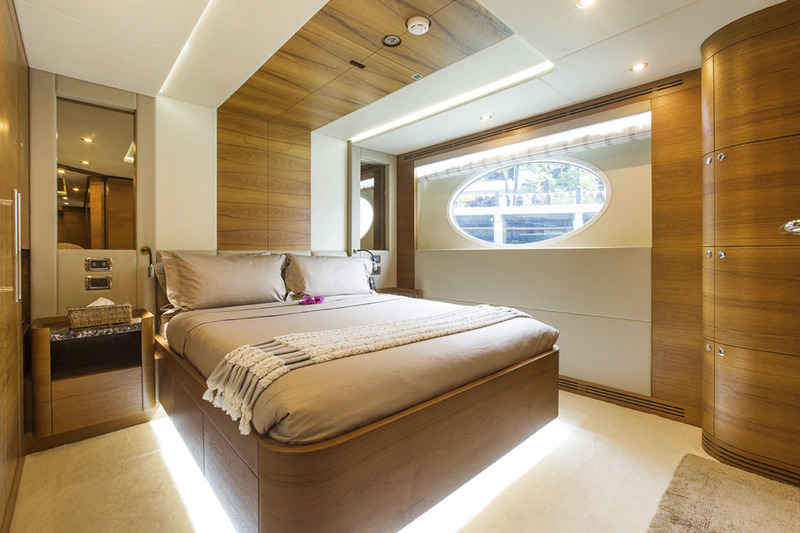 It was developed as a high-end superyacht and offers a width of over 7m m space, which is rarely found even with this length. 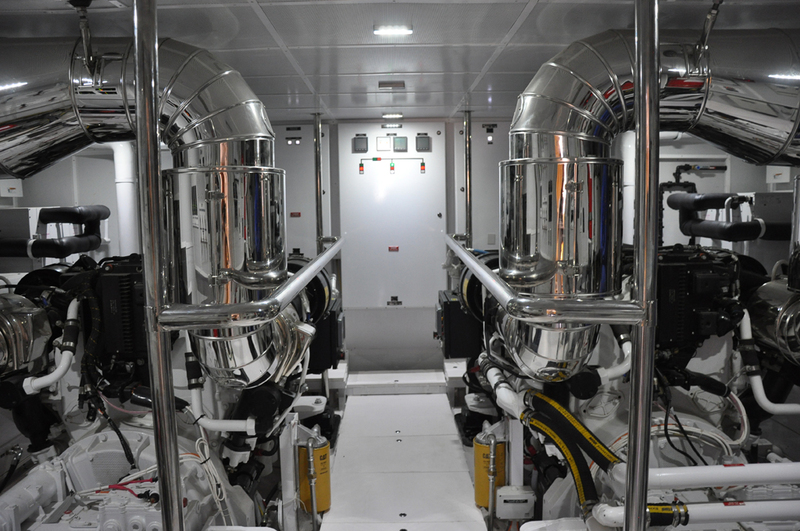 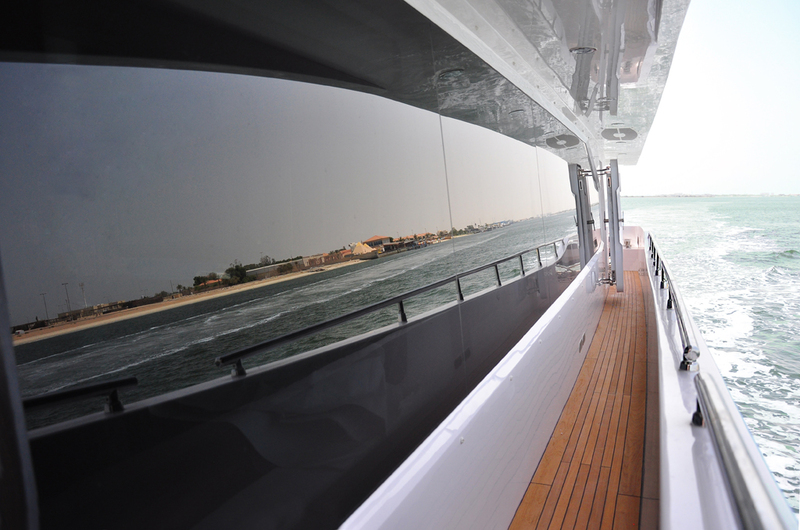 The fiberglass hull has very good running properties and always stable and safe on the road. 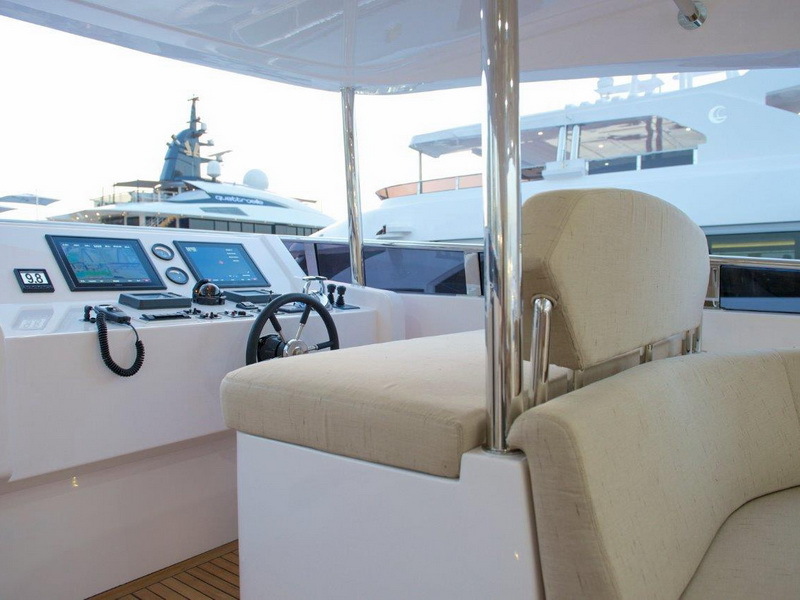 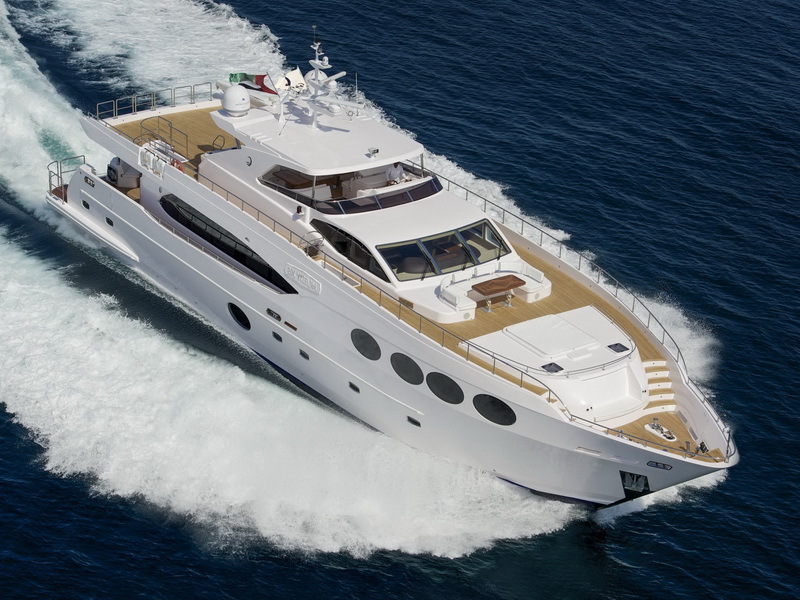 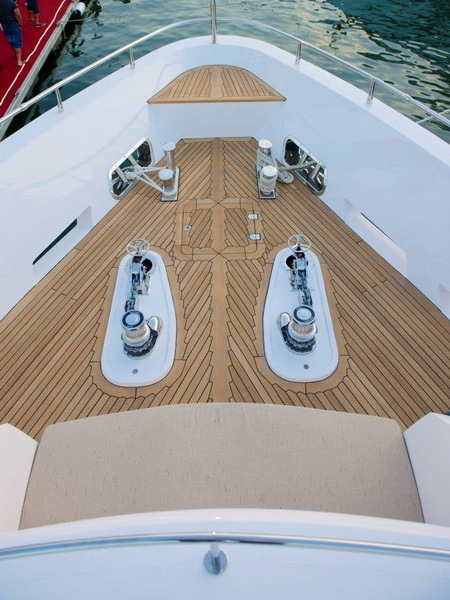 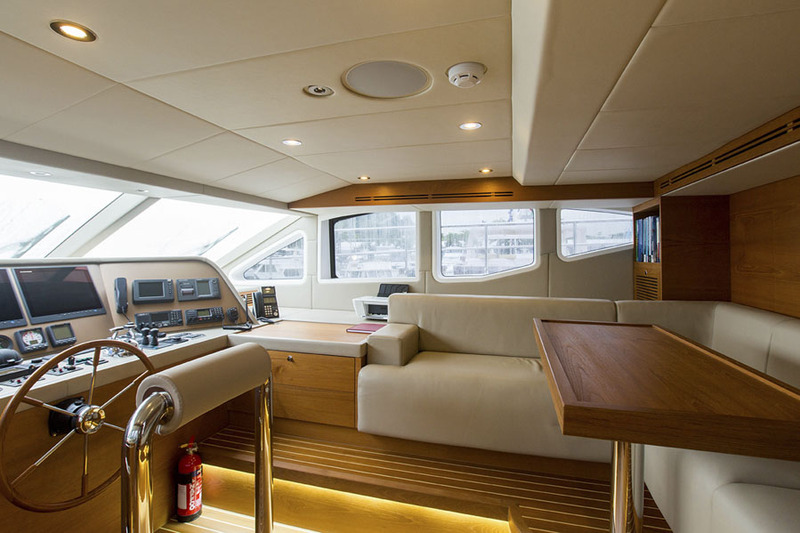 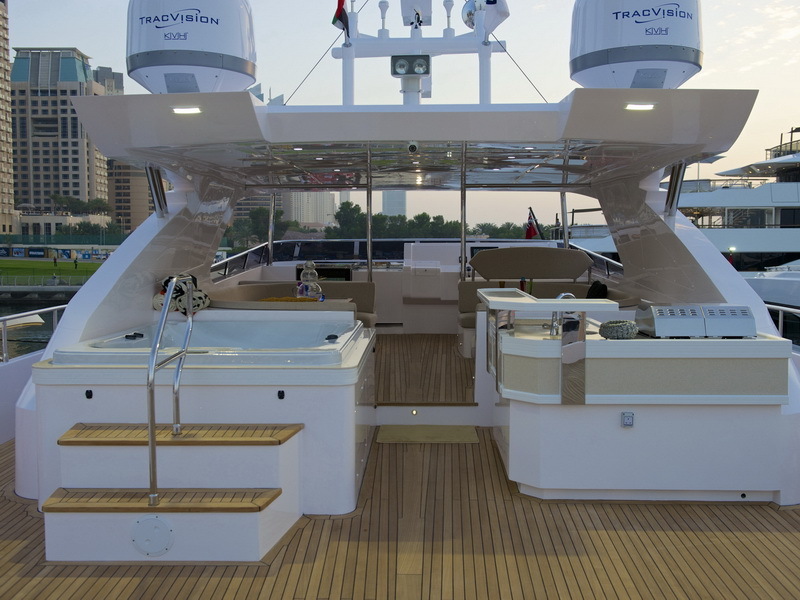 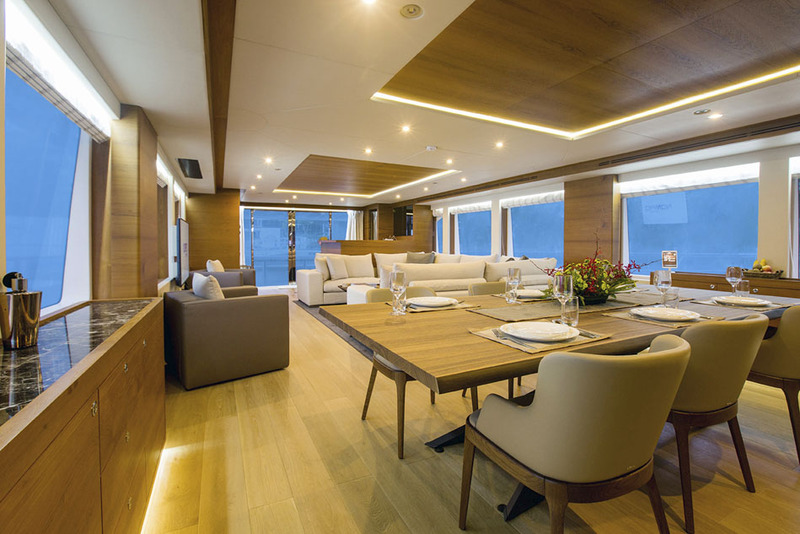 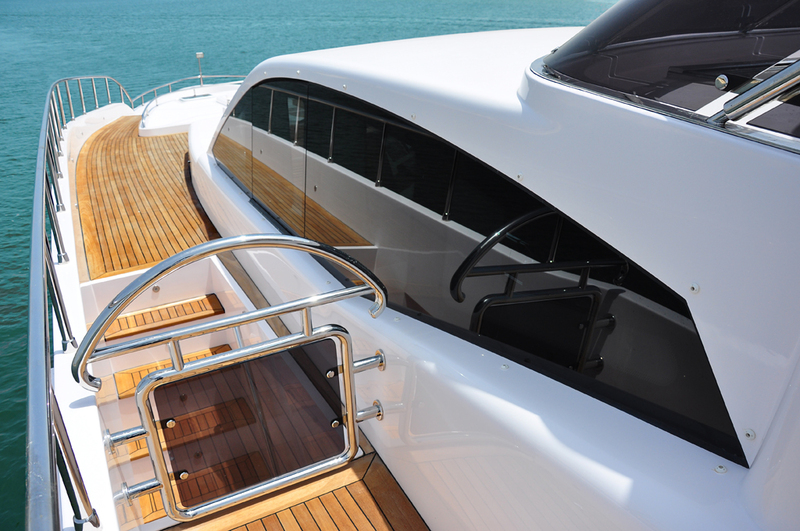 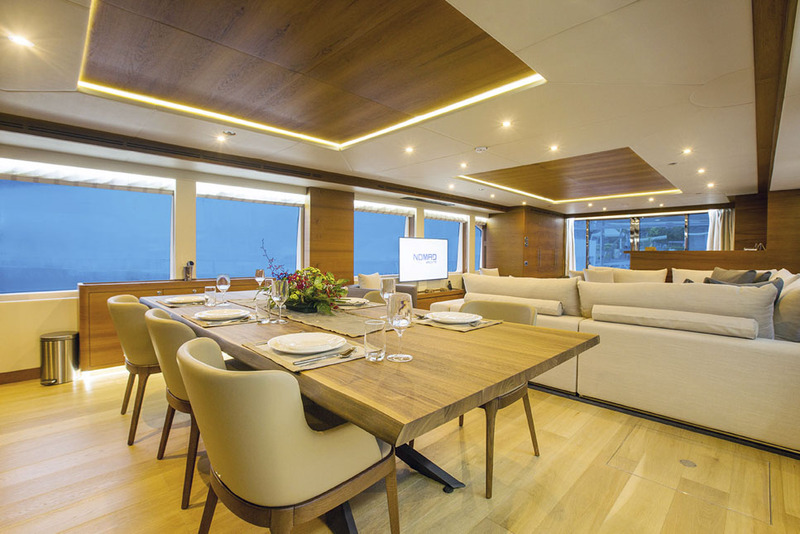 On deck are the large aft deck, the bow area has a seating area with table and a sun deck area. 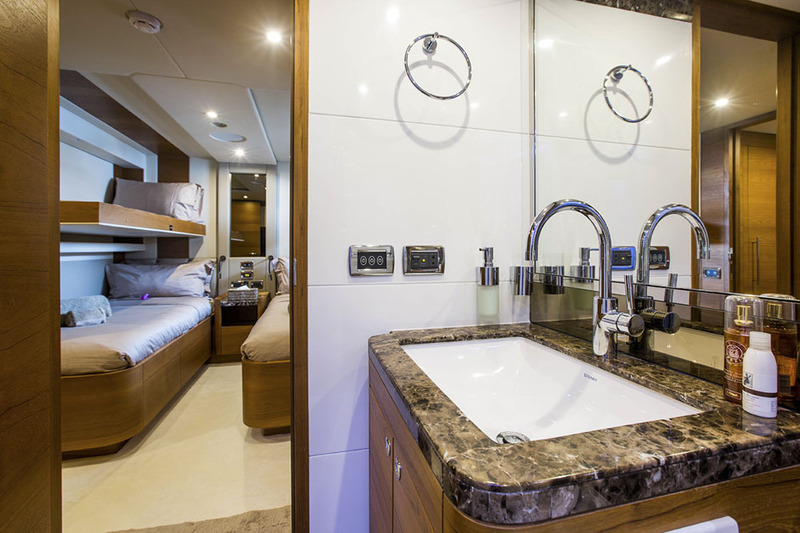 At the stern there is a large bathing platform. 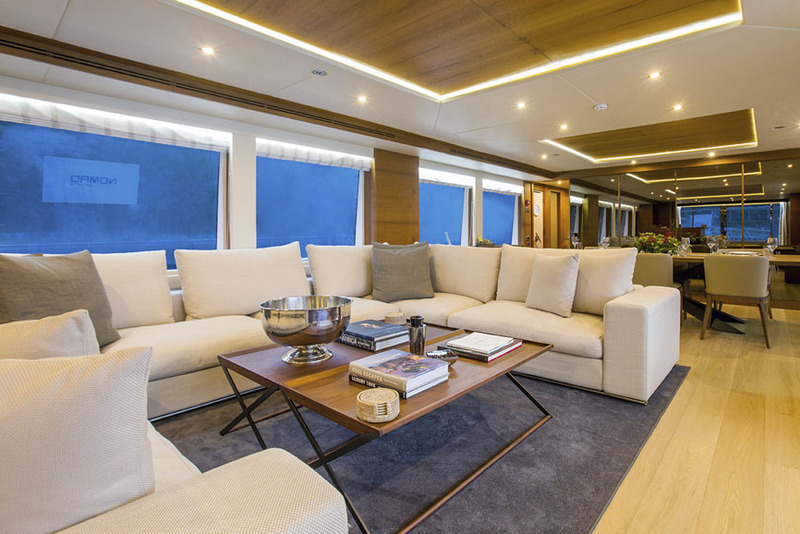 On the flybridgedeck you will find plenty of space to relax. 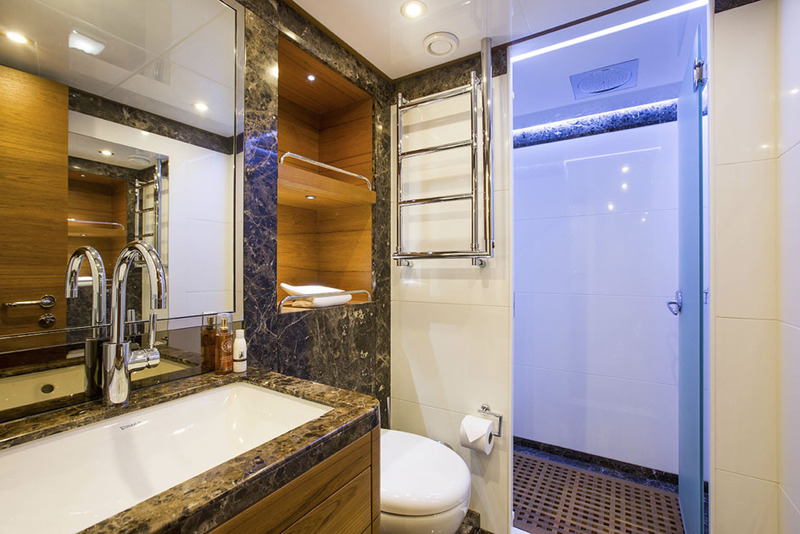 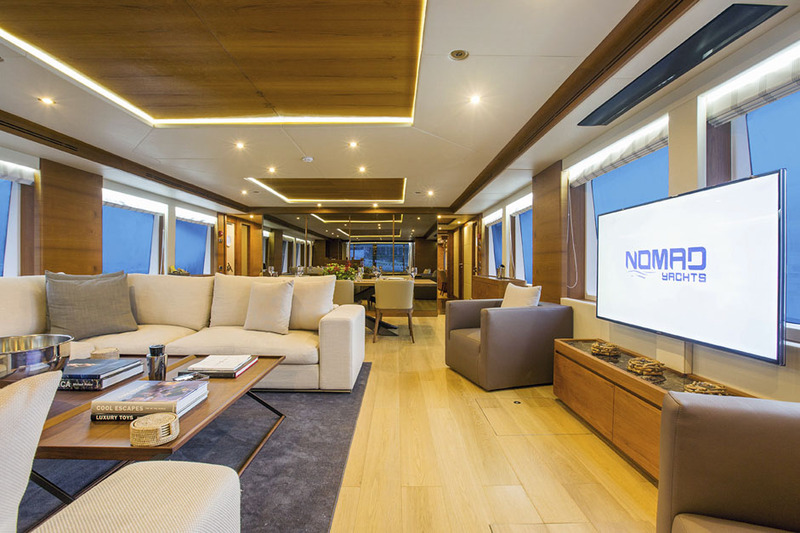 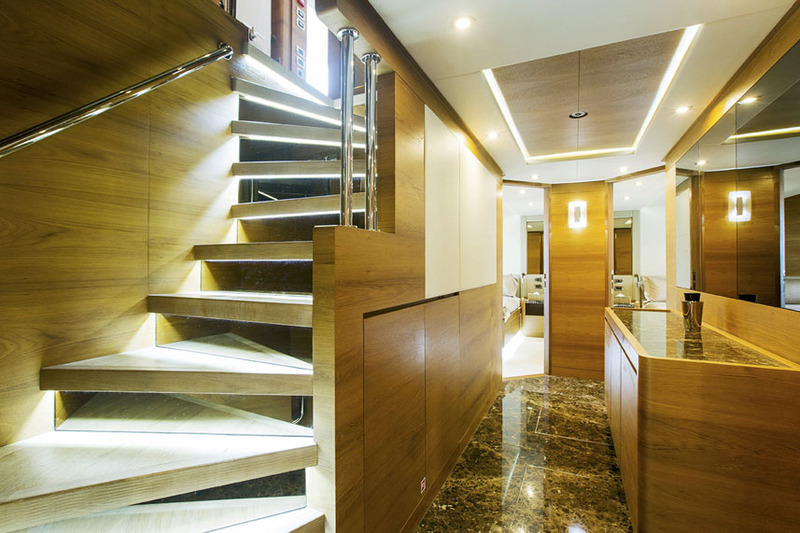 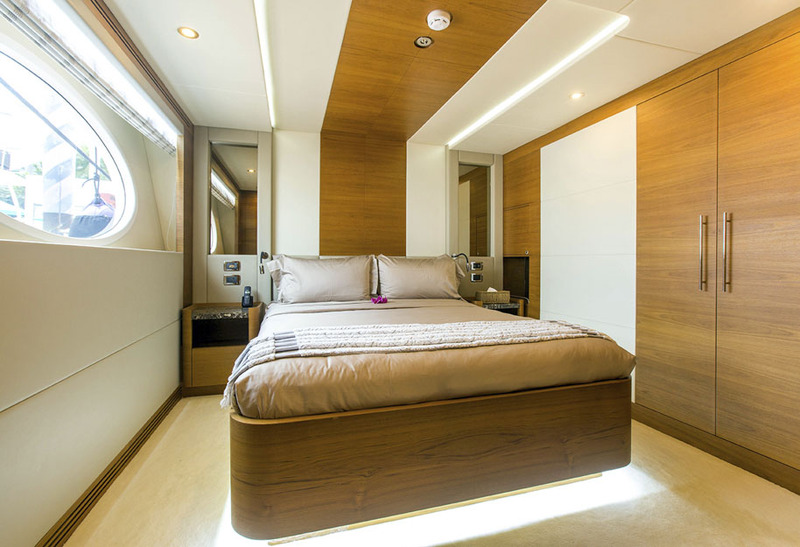 The cabin layout includes a salon level extending over the entire hull width owner’s cabin, which of course has its own and spacious bathroom, as well as a walk-in closet and a large window front. 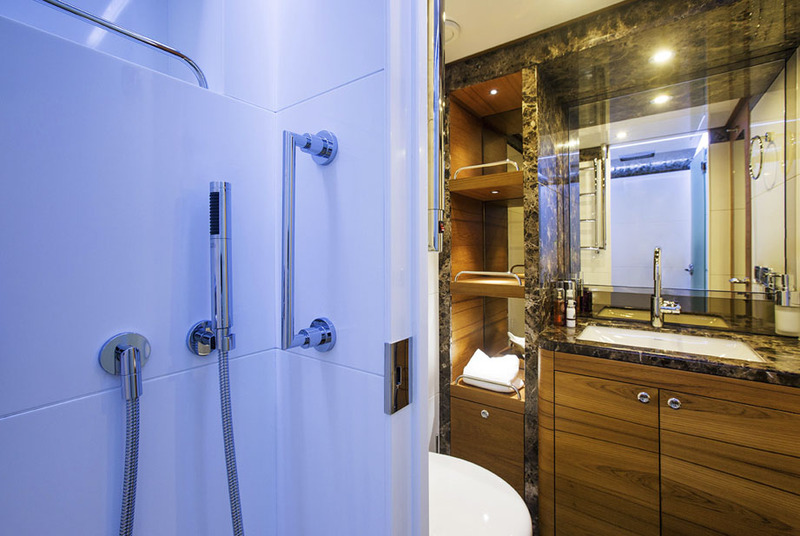 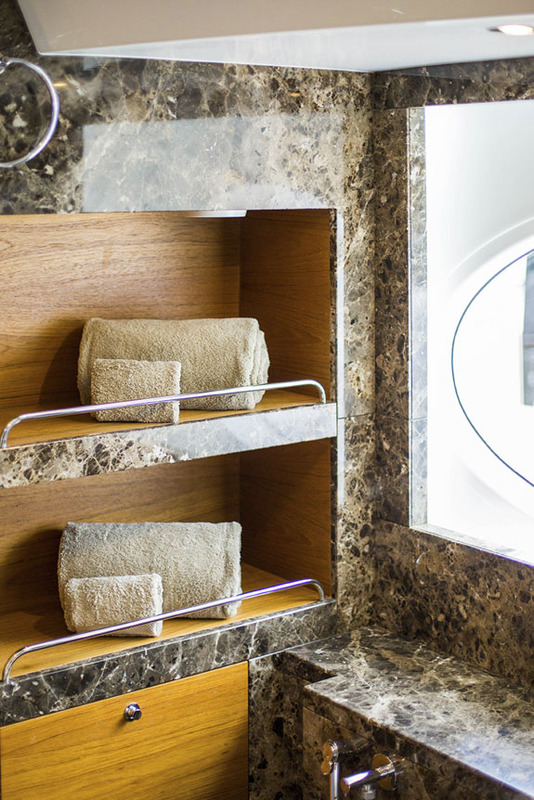 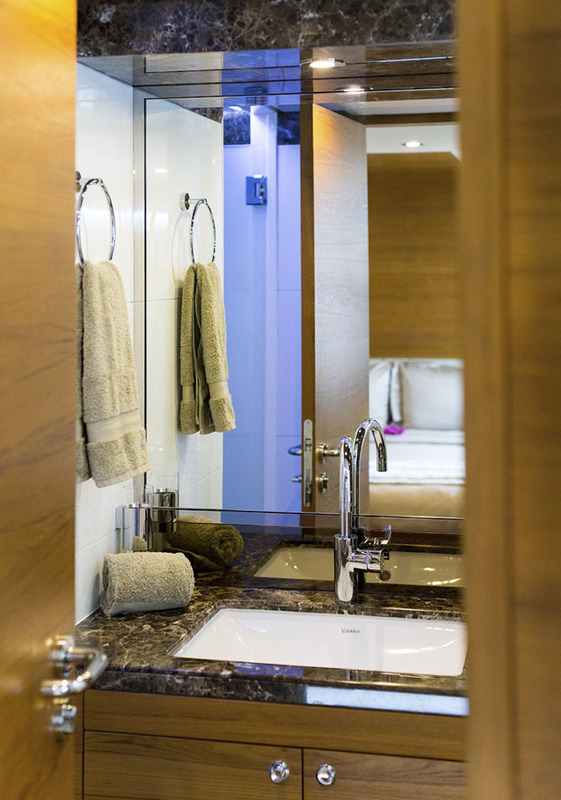 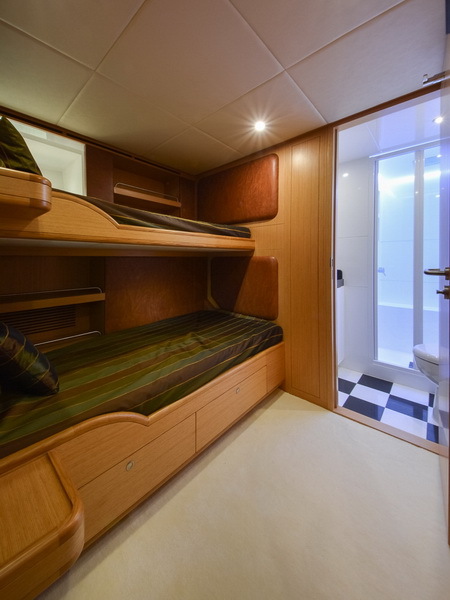 In the lower deck are the guest cabins each with their own bathrooms. 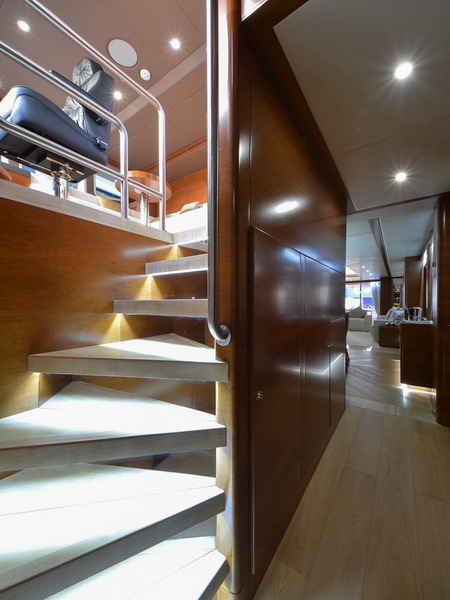 There are also very generous areas for the crew. 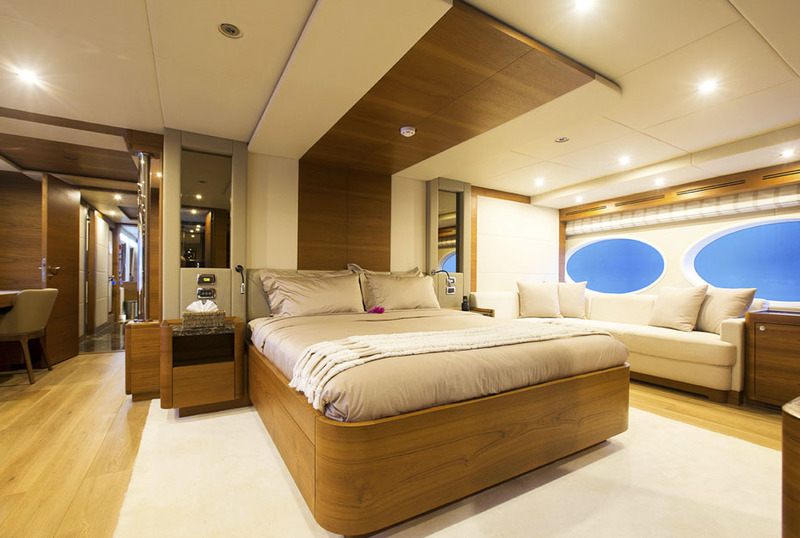 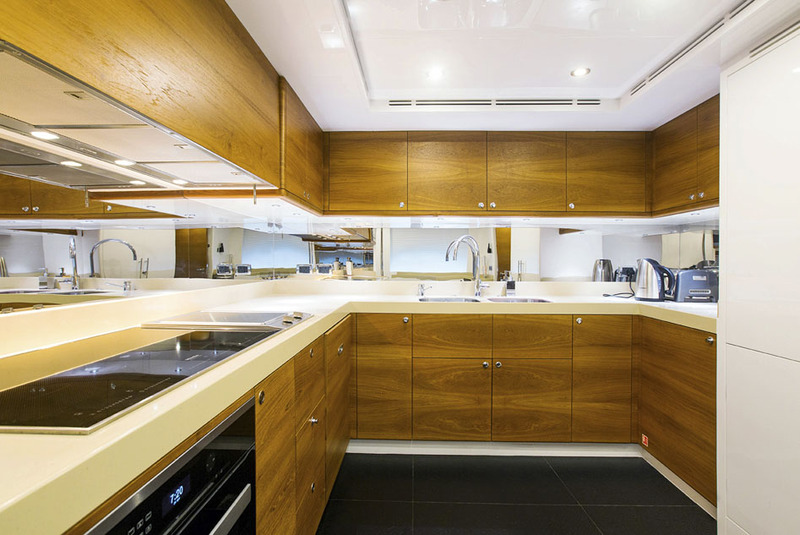 Of course, the entire layout is tailored to the wishes of the owner. 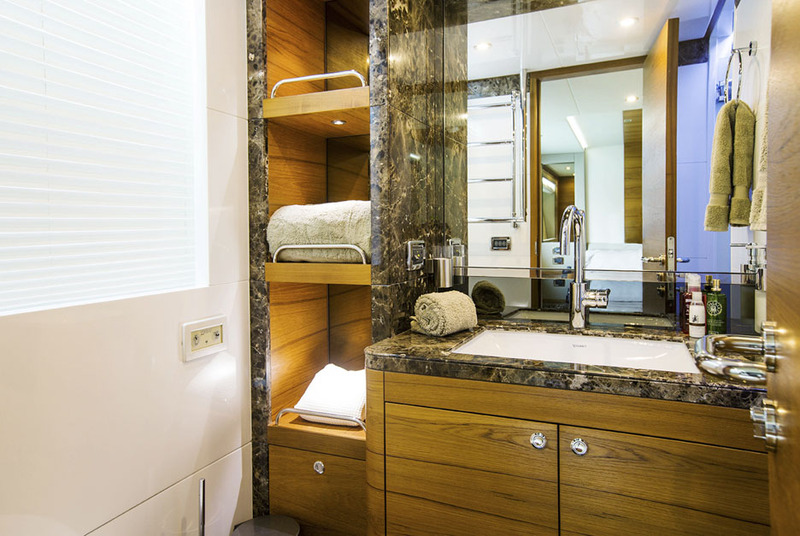 It goes without saying that a large selection of different materials is available for an very individual equipment.